The Superlawyer’s organization has named H. Hube Dodd as a recipient of the Superlawyer designation in the field of Criminal Defense. 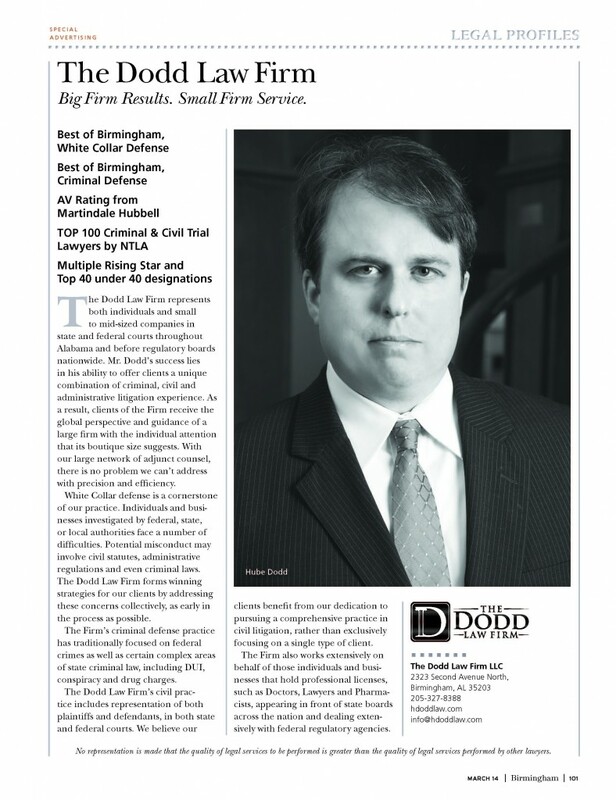 Mr. Dodd had previously been named as a Rising Star in their annual poll of Alabama lawyers. In their annual list of Birmingham’s Best Lawyers, which is compiled through a survey of attorneys throughout the metro area, Birmingham Magazine named Hube Dodd as one of Birmingham’s Best in two categories. Mr. Dodd’s work in the field of White Collar Defense garnered him recognition in that category. He also received the distinction for his criminal defense work. This past weekend, Founding Partner Hube Dodd led The Garage Cafe to another victory in Birmingham’s annual Gumbo Gala, benefiting the Episcopal Place charities. A longtime client, The Garage Cafe and owner Jimmy Watson has teamed up with Mr. Dodd to produce the area’s best Gumbo while supporting a worthy cause, and this year’s team took home first place in the Professional Division. Congratulations to the entire team, and many thanks to the wonderful folks at The Episcopal Place. 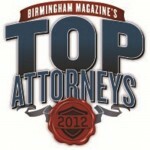 Founding Partner Hube Dodd has been named to Birmingham Magazine’s Top Lawyers in Birmingham for 2012. 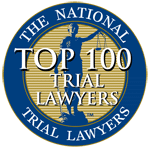 Mr. Dodd was recognized twice in the annual survey of area lawyers, once for being among the top criminal defense lawyers in the region and once for being a Rising Star in the legal community. A Lawsuit filed by The Dodd Law Firm against Carbon Hill and various officials of that City has been cleared to proceed by a Federal Judge. The Lawsuit alleges retaliatory motives regarding the firing or the Former Chief and Assistant Chief of Police. Both were originally assigned as clients to Partner Hube Dodd by the Policeman Benevolent Society, with whom Mr. Dodd works to protect the rights of law enforcement officials throughout the State of Alabama, part of his administrative law practice that also includes nurses, pharmacists, doctors and lawyers. 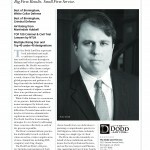 The firm is pleased to announce that Attorney Hube Dodd has been named one of Super Lawyer’s “Rising Stars” for 2011. Mr. Dodd won similar recognition from that organization in 2010. Congratulations to Mr. Dodd, and if you would like more information about his practice please contact the firm at info@hdoddlaw.com, or you can visit his Super Lawyer profile here. After the positive reception of his last CLE, Mr. Dodd has been asked to teach an expanded version of his “Defending DUI Clients” continuing education class, and will do so on September 27th of this year. All lawyers interested in learning how to defend clients charged with Driving Under the Influence are welcome to attend. On May 17th founding partner Hube Dodd will be teaching a Continuing Legal Education class to lawyers interested in learning how to represent clients charged with Driving Under the Influence. Contact the Dodd Law Firm at info@hdoddlaw.com if you are interested in attending. The Dodd Law Firm is pleased to announce that founder H. Hube Dodd has received an AV- Preeminent rating from Martindale Hubbell, the leading attorney ranking service in the industry. This is the highest ranking Martindale Hubbell bestows and is based upon extensive peer review. Mr. Dodd is humbled by this recognition, appreciates the positive feedback from his peers that it represents, and remains determined to continue to work tirelessly on behalf of his clients to provide effective and ethical representation to the best of his ability. You can visit Mr. Dodd’s Martindale Hubbell attorney page here. For the third consecutive year, Founding Partner Hube Dodd has been named a Rising Star of the Alabama legal community by SuperLawyers Magazine. Less than 2.5% of lawyers statewide are so honored each year, and Mr. Dodd is grateful for the recognition of his efforts of behalf of his clients. I’ve used other attorneys, but Mr. Dodd was different in that he kept me informed of every little detail. I was able to contact and speak with Mr. Dodd anytime that I felt like I needed his advice. In the end Mr. Dodd help me win my case. I would highly recommend Mr. Dodd to anyone that needed a good and professional lawyer. We want to express our grateful appreciation for the way you worked so hard for our son. Words do not adequately express how thankful we are. We especially appreciate your kindness, your attention, your extreme patience with us and the sincerity you showed throughout the whole situation. Words cannot express my appreciation for Attorney Dodd's tedious labor and respectful service. He never failed to give me truth, always laced with gentleness and a profound sense of kindness. My family and I will forever be indebted to Attorney Dodd for his tireless work on our behalf. The practice of law is one of the most difficult professions in our society. It takes a person of great intelligence, high moral integrity and personal empathy. Attorney Hube Dodd is such a person. He is immensely qualified as an attorney and appreciated as a friend. Seldom in life can you have both an attorney and friend. My son was facing anywhere from 6 months to 3 years. There wasn't a question I had that Mr. Dodd didn't answer in FULL detail SAME DAY. In a court where the Judge almost never goes against the recommendation of the prosecution, my son was sentenced to probation. I thank God for Hube Dodd, heaven only knows where my son would be without him. When I met Mr. Dodd, I was facing the prospect of spending the rest of my life in prison. He was honest with me and my family from the start, clearly communicated the strategy he intended to pursue, and eventually achieved a result that even the judge called “remarkable”. I’ve had a lot of lawyers in my life, but Hube Dodd is the best I’ve ever seen. Attorney Dodd worked beyond my expectations as he provided exceptional representation long after the trial was completed. I have said many times that Hube Dodd is one of the most versatile, brightest and most creative lawyers I have ever known. I have had the pleasure of trying a number of high profile trials with him and found myself often amazed at his trial skills and ability to absorb then apply complex information. If you have any questions regarding our services, call (205) 327-8388 to speak with a dedicated Alabama attorney. The Dodd Law Firm offers experienced representation in white collar crimes, civil representation, criminal defense, administrative hearings, and business law matters. Located in Birmingham, we serve the Birmingham-Hoover Metropolitan Area and the surrounding communities including Fairfield, Pelham, Mountain Brook, Homewood, Irondale, Vestevia Hills, Hoover, Gardendale, Pleasant Grove, Bessemer, Leeds, Helena and Alabaster and those within Jefferson County, Shelby County, Tuscaloosa County, Walker County, Blount County and St. Clair County.